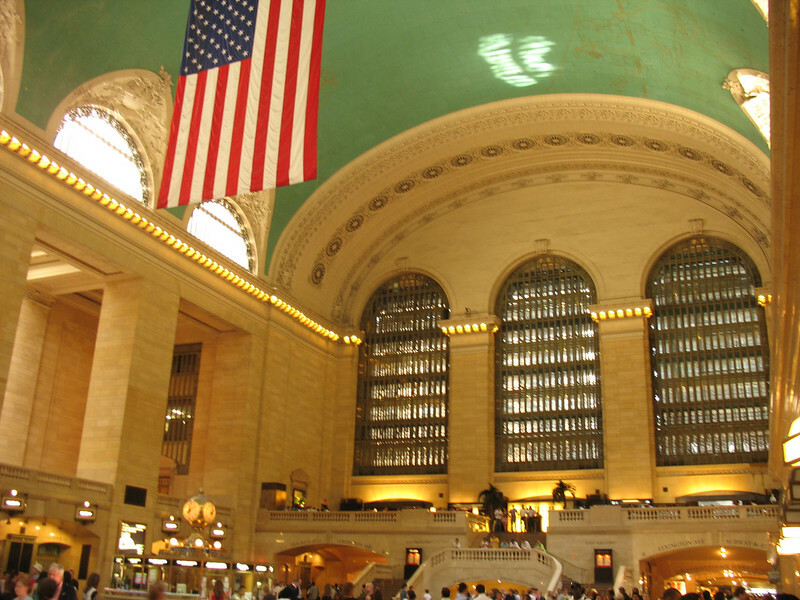 Prior to 1998, the ceiling of grand Central Station was dark, grimy, and covered by tobacco smoke and tar. After receiving $2,481,730 in TE money, matched by $2,279,648 of local funds, travelers can once again see the starry, unblemished night sky. The original ceiling was painted in 1912 by French artist Paul Cesar Helleu and depicted an elaborate map of the constellations. One oddity about this original ceiling, however, is that the sky is painted backwards, possibly due to human error or a deliberate attempt to paint the sky as seen from outside the celestial sphere. When the ceiling was restored, all of these features were made visible once again, except for one patch that was left dark to remind people of how dirty the ceiling had once been.